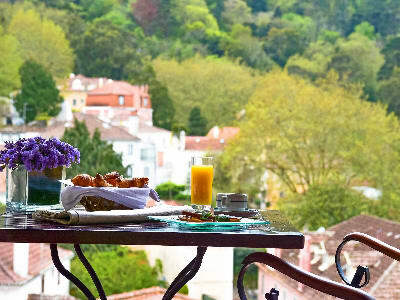 Right in the centre of town, with private parking, this discrete 4 star hotel has every convenience you need to enjoy the nature, history and leisure opportunities in Sintra, UNESCO world heritage. The breakfast served in the Monserrate restaurant of the Tivoli Sintra Hotel is a sign of the quality of the cuisine at this welcoming and traditional hotel. The scenery from the panoramic bar is a reflection of the privileged location enjoyed by this Hotel Sintra between the Mountains and the Town Palace, with the sea as the backdrop. Located next to the mountains and all the important monuments – such as Quinta da Regaleira, the Moorish Castle and Monserrate and Pena Palaces, it is also just a 2 minute walk to Sintra National palace – as well as to numerous restaurants, wine cellars and traditional patisseries. Numerous attractions for a truly enjoyable and entertaining stay! surroundings of the Sintra region. Most rooms have a panoramic view of the valley and the Sintra mountains, or even down to the sea on a clear day. little time to enjoy some delicious delicacies or one of our amazing cocktails with a superb view of the Sintra Mountains. rooms with panoramic views which together with the outstanding wining and dining and a highly experienced team ensure the success of your event. Experience more, but don’t pay more. Enjoy extra nights at Tivoli Sintra Hotel and benefit from savings of up to 20%. Tivoli Sintra is excited to share a sneak peek of room renovations underway. 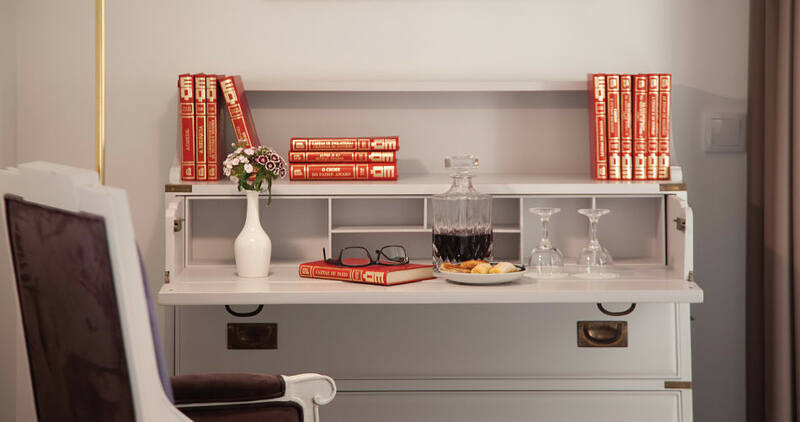 Look forward to fresh elegant style and new amenities, with the same enchanting views of the Sintra Mountains and downtown's charming cobblestoned streets. Tivoli Sintra Hotel offers you a variety of Local Experiences totally dedicated to you and your tastes, your time, expectations and travel motivations, created to reveal the authentic and local twist of Sintra. Choose one of those local experiences and feel what the original this romantic village has to offer. Relax, breath and enjoy a yoga lesson in perfect harmony with the surrounding nature of the Palácio de Seteais' gardens. Marvel at the exoticism and botanical variety of the forest and discover the incredible Peninha Sanctuary. In a true journey for all the senses, experience a trip through the Sintra-Cascais Nature Reserve and an unforgettable wine tasting. Discover the mystical and hidden aura of the Mountains of Sintra with a walk appealing to all of your senses. Walk through the Seteais Gardens in a unique experience in search of Sintra's tastiest and most iconic ingredients. Live an unforgettable and exclusive experience with a private visit to the Monserrate Palace and a horse drawn carriage ride. Immerse yourself in a thousand years of history and explore the amazing Sintra's architecture and nature. Get on board a private jet and live a unique and extravagant experience to a city of your choice. Live an unforgettable and exclusive experience with a private visit to Pena Palace and a ride in a Mercedes Sedan. Visit Europe's most westerly point, Cabo da Roca, in Sintra.